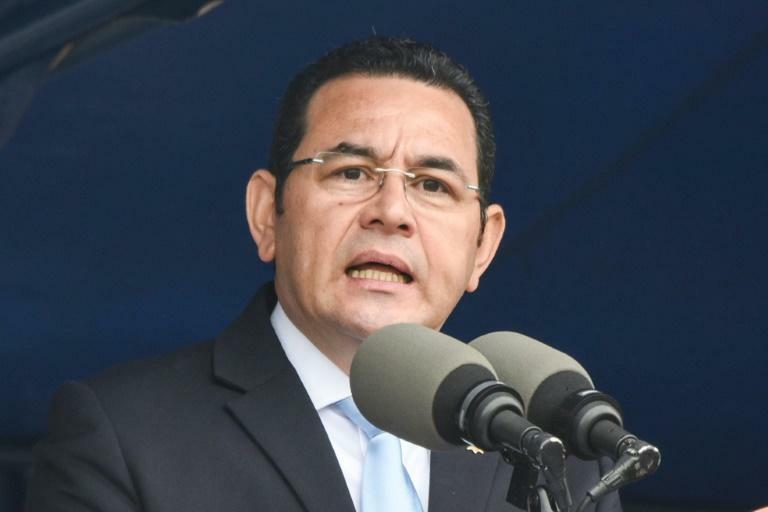 The European Union on Sunday accused the Guatemalan government of President Jimmy Morales of taking a "step backward" by shutting down a UN mission investigating corruption in the central American country. Morales said Friday he was not renewing the mandate of the International Commission Against Impunity in Guatemala (CICIG) after it made a joint request with the state prosecutor's office to lift his presidential immunity as part of a probe into campaign finances. "The decision by the Government of Guatemala not to renew the mandate of CICIG beyond 2019 constitutes a step backward in the consolidation of rule of law," a spokesperson for the EU's diplomatic arm said. "In the last ten years this body, set up on request of the Guatemalan Government, has made an important contribution to the fight against corruption and impunity," the statement said. "The European Union has been a staunch supporter of its work, in cooperation with the attorney general," the European External Service spokesperson said. "We expect CICIG to be able to continue its full operation for the remainder of the period in accordance with its mandate," the statement added. The EU pledged to continue backing Guatemala in bolstering the rule of law and developing its institutions in future to benefit all Guatemalans. Both the UN mission and prosecutors presented evidence that Morales' FCN-Nacion party failed to report nearly one million dollars in financing to electoral authorities during his successful 2015 presidential campaign. The omission would constitute illegal election financing.